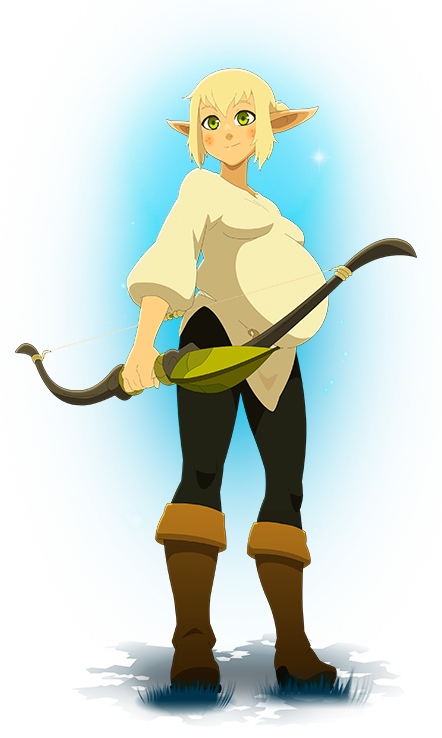 Evangelyne - Wakfu Season 3 - the new adventures of the Brotherhood of the Tofu - WAKFU, The strategic MMORPG with a real environmental and political system. 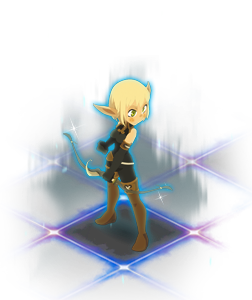 As fast as lightning and as precise as Xelor's Clock, Evangelyne is an incomparable archer. If someone had told her that after becoming a member of the Brotherhood of the Tofu and trekking across the World of Twelve she would end up as a housewife and mother, she would surely have been knocked for a loop! However, today she wouldn't trade her job as a mama bear for anything... But at the slightest hint of threat, her bow is never far away! She wouldn't hesitate to get it out to defend Percedal, Elely, and Flopin!